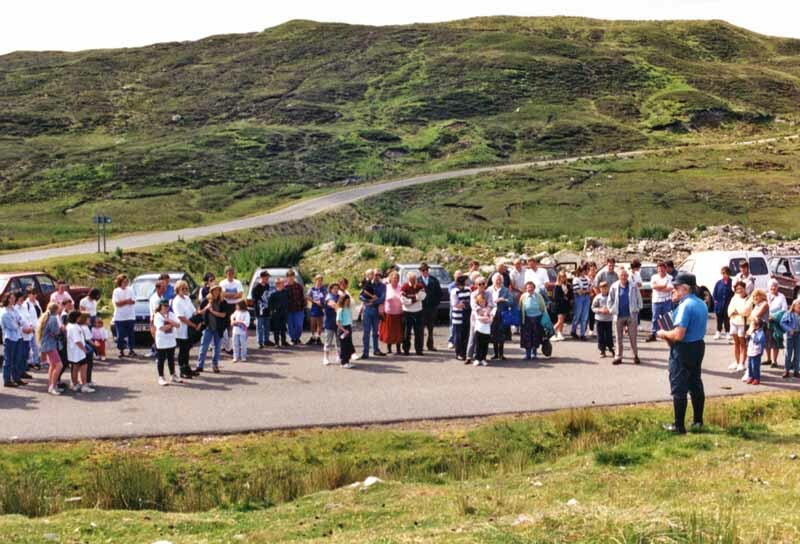 The Comunn Eachdraidh AGM will be held on Tuesday 3 February at 8pm at the resource centre in Kershader, and will be followed by the formal launch of this new website. 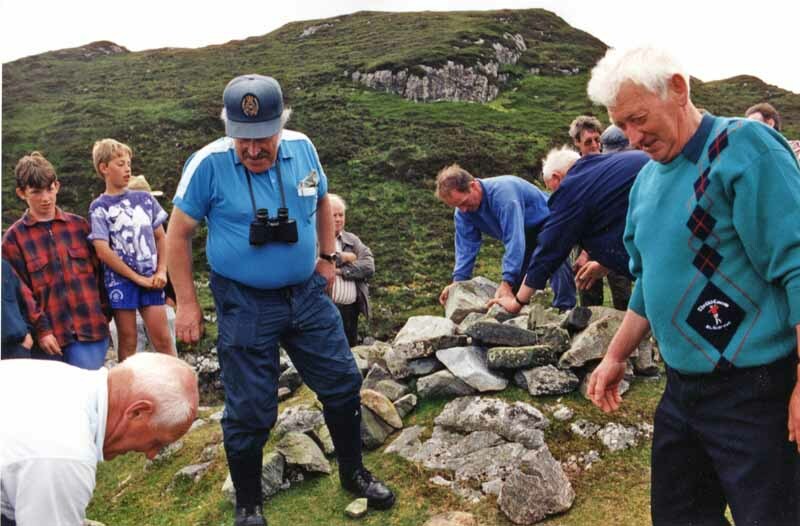 Photos from Comunn Eachdraidh outings for the last 12 years will be shown as well as many other photos and stories of local interest. All are welcome and you are invited to join us even if you are not a member. A new degree-level archaeology module exploring the impact of the Vikings on the North Atlantic region between 700 and 1300 AD begins Tuesday 27 January at Lews Castle College in Stornoway. The course runs for 10 weeks and there are no formal entry requirements. For further information see the college webpage. The course will be taught by Dr Mary Macleod, who is also giving a talk in Uig Community Centre on Scotland’s Vikings: Friday 30 January at 7.30, free. Kristine Kennedy from 13 Orinsay was the star of a sensational evening on Thursday 23 October when she delivered the 5th Angus Macleod Memorial Lecture in Pairc School, Gravir. ‘B’ e a ’ Ghàidhlig cànan na coimhearsnachd agus gu dearbh cànan na h- eaglaise. ’ Se an eaglais gu ìre mhòr a chum a’Ghàidhlig a’ dol fiù’s an uair a bha foghlam a’ cur cùlaibh rithe. Agus cha b’e bloigh Gàidhlig a bh’ innte air chor sam bith ach Gàidhlig ghlan, làidir a’ Bhìobaill. Sin agaibh dìleab phrìseil na h-eaglaise agus ann an cur a- mach na loidhne. Luiginn aghaidh m’athair a bha na fhìor phrecentor agus aghaidhnean gu leòr eile a tha air falbh fhaicinn nam b’urra mi innse dha gun do chuir mi blasad dhe na seo air a’ CD mu dheireadh a rinn mi (CD – Dè?) agus gu bheil mi air a bhith a’ toirt an ‘style’ seinn seo air feadh na dùthcha ’s a dh’Eirinn ’ s bho thòisich an ùidh eadar-nàiseanta cuideachd air a thoirt gu ruigeas NewYork agus Alabama! ’S dòcha gu robh còir agam a ràdh cuideachd nach robh e ceadaichte neo cò-dhiù cumanta do bhoireannaich a bhith a’ cur a- mach na loidhne ged a tha cuimhne agam air ‘Small’ agus ‘AnnaDan’ ga dhèanamh corra uair mura robh fireannach a làthair sa choinneamh sheachdnach as a’ bhaile da b’ aithne seinn. Tha an dòigh seinn seo gu mòr glaiste nam anam ’s nam chridhe ’s chaneil mi chaoidh gu bràth a’dol a dh’iarraidh leisgeul dhaoine airson a bhith a’ brosnachadh chan e mhàin fir ach caileagan gus an neamhnuid luachmhor seo a chumail beò. 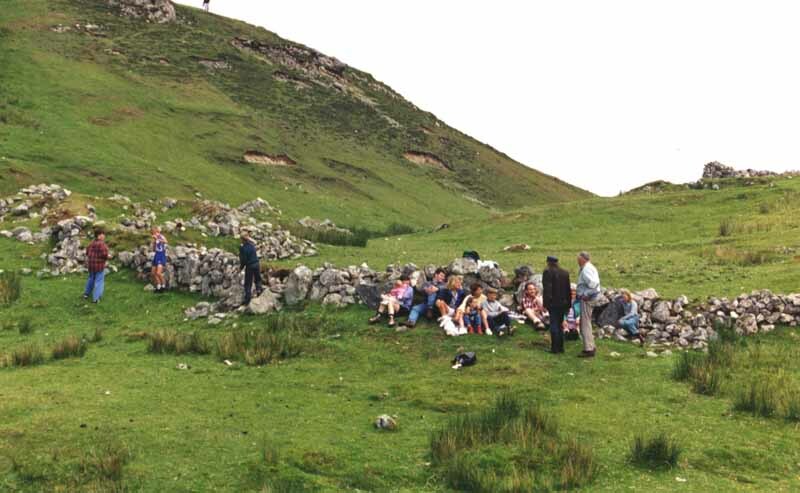 Gaelic was the language of the community and indeed of the church. The church to a greater or lesser extent was central to the continued survival of the language when areas such as education turned its back on it. This was no pidgin Gaelic but the strong rich Gaelic of the Bible. That and the tradition of precenting the line is a gift of the church to us. 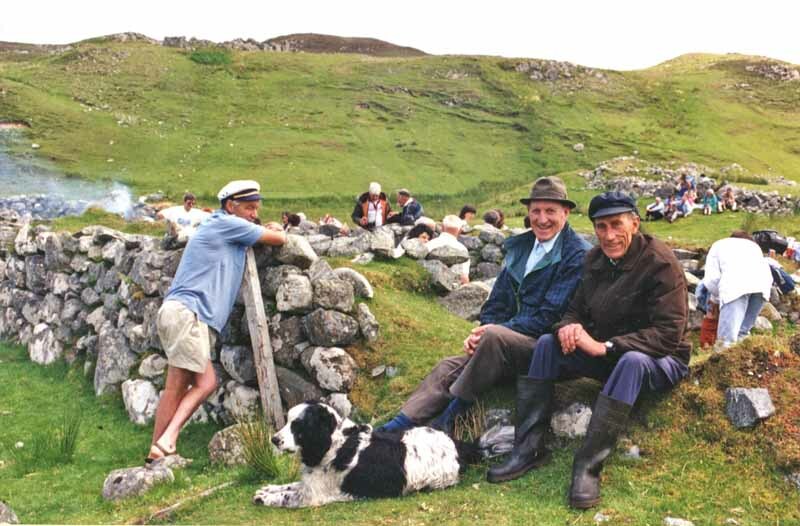 I would love to have seen my father’s face – no mean precentor himself – and that of many others if I could tell them the many shores to which that gift has taken me, be it Ireland or New York or Alabama. I should probably add that it was not permissible or at least not common in their time for a woman to precent the line although I do recall the odd occasion when Anna Dan or “Small” as she was known led the praise because there were no gifted singers amongst the men present at the weekly meeting. This style of singing is close to my heart and soul and I will never apologise for promoting it amongst young boys and girls so this priceless jewel can be preserved. I’ll never forget the first time I heard one of the elders in the church in Gravir praying in English. Having left home to earn my living I was visiting on holiday. Never having heard a word of English or of singing in English in the church before then made it a truly alien experience – I didn’t even know the gentleman in question had such a grasp of the English language. It’s difficult for me to describe the enormity of hearing this language echoing around the walls of this particular church. My instinctive reaction was to laugh… I just couldn’t take it in. 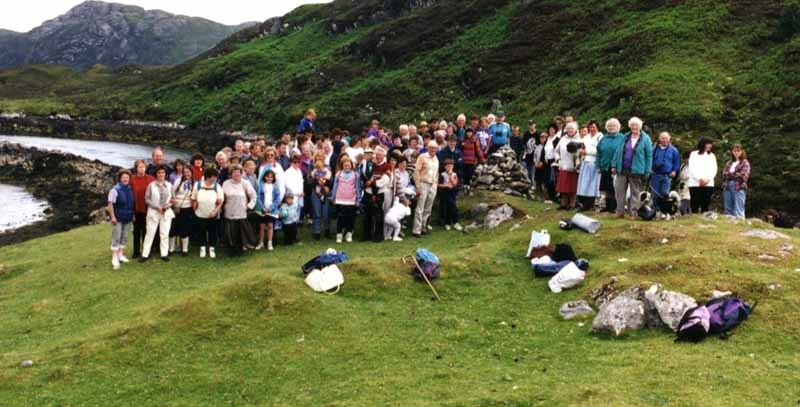 This was a speech which had it all – from Ministers to Cailleach an Deacon, “Beaver”‘and “Peggy Diry”, from the Stornoway school hostels to the Stiomrabhagh fank. 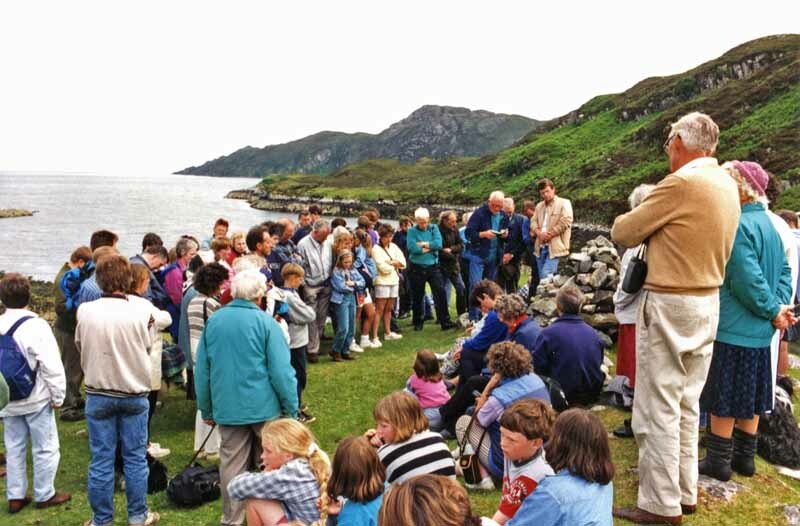 And at the end of her address, Kristine looked ahead to the sort of community South Lochs is today, and what kind of community she would like it to be in the future. Whatever lies ahead I hope that Pairc will be a community with Gaelic at it’s heart. A warm, welcoming and successful community – a place where people and young families live, work and grow up. A growing, united community, a place of natural beauty, songs and music, stories and wit, faith and freedom. Some 100 people, locals, others from all parts of Lewis and Harris, and some who had come specially from the mainland, packed into the school on an evening of gale-force winds and horizontal rain. There was no question in anyone’s mind that it had been worth it, an evening that will live in the memory for many years. Our thanks to everyone, too numerous to mention individually, who contributed to an unforgettable occasion. The full texts of Kristine’s lecture in Gaelic (and a summary in English) are available price £5 from Margaret Macdonald at Ravenspoint (tel 01851 880737). 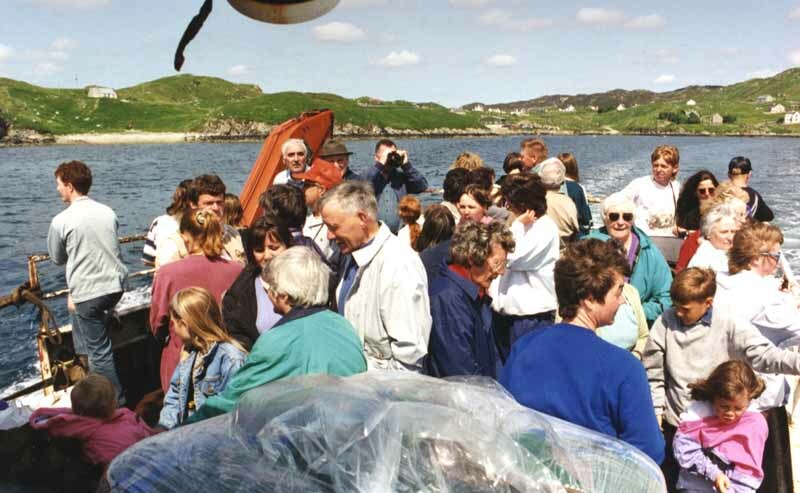 Description: The Islands Book Trust’s 3-day conference on Emigration from the Outer Hebrides. Programme and booking form available now. 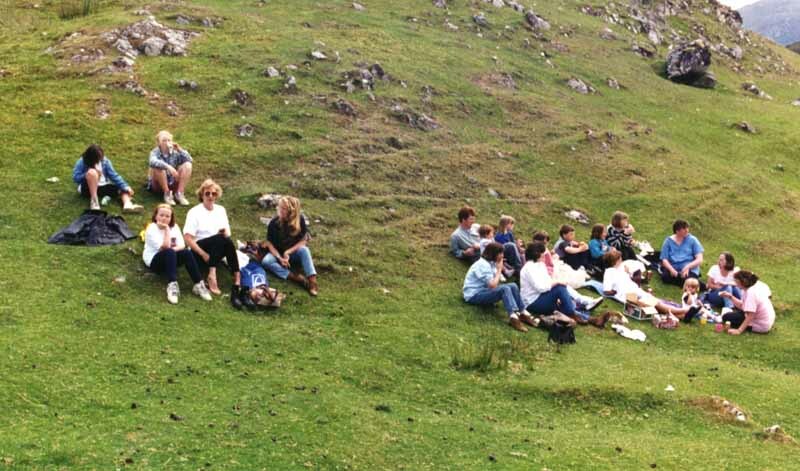 Welcome to the new Comunn Eachdraidh na Pairc website, where we intend to publish information about the activities of the society and about the history of our district. Contributors are always welcome; please get in touch if you can help out and write about local events, past and present.